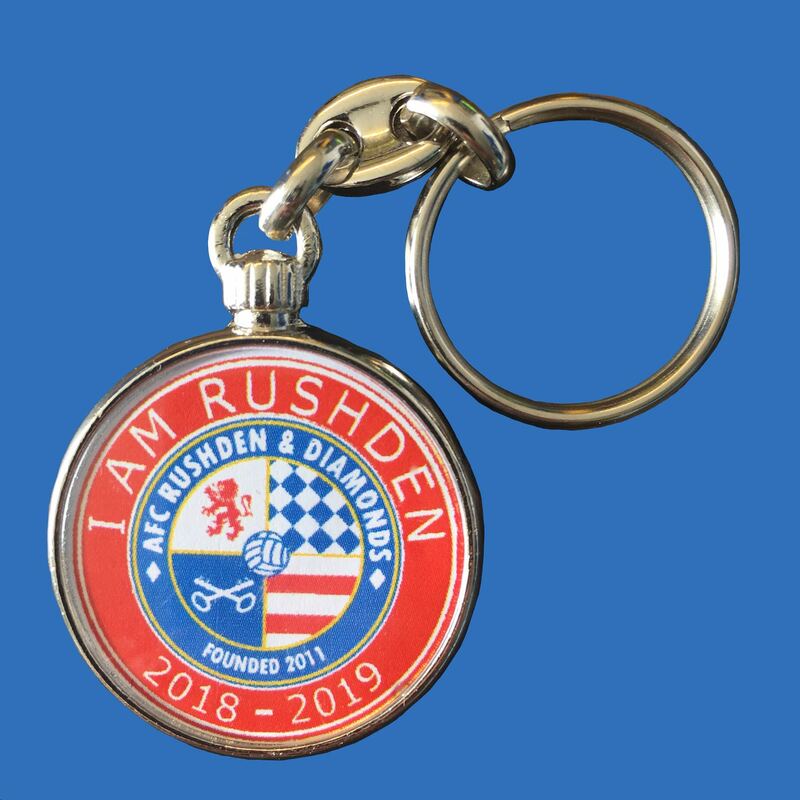 Branded 'I am Rushden' metal keyring. 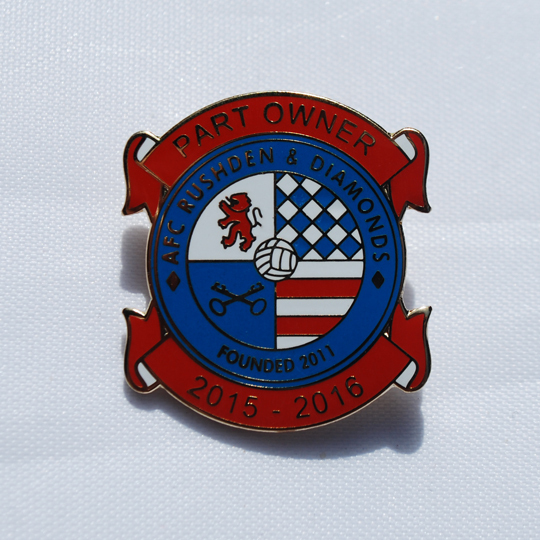 Enamel pin badge with AFCR&D club badge design with safety clasp. 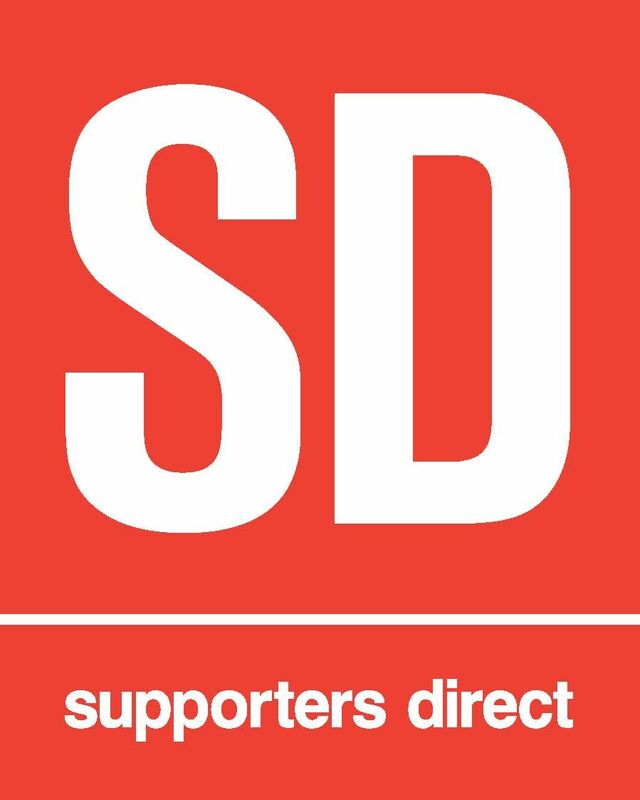 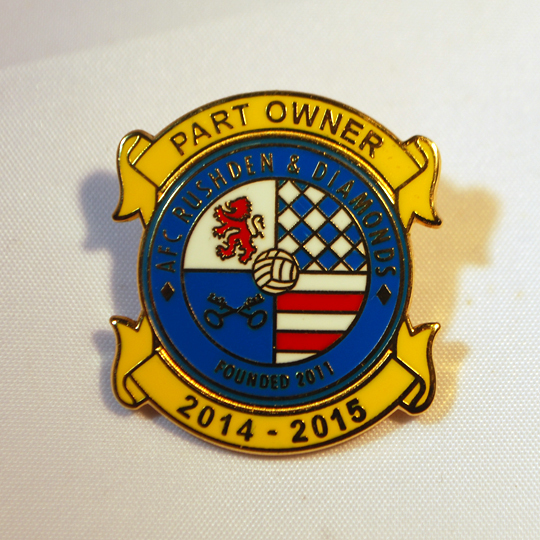 Part owner Pin badge 2018-19 season. 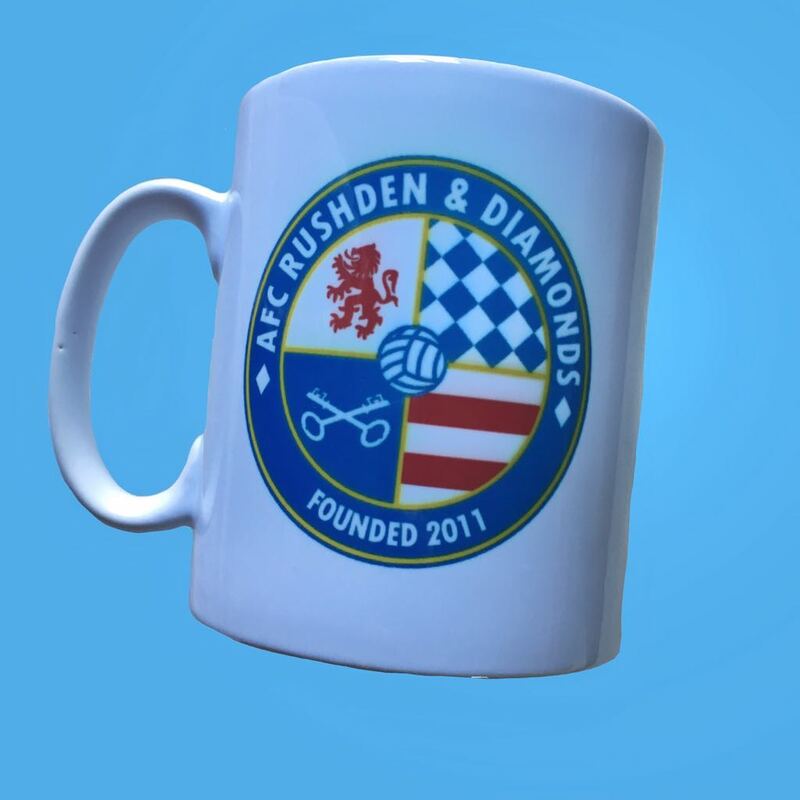 Blue colour change ceramic mug. 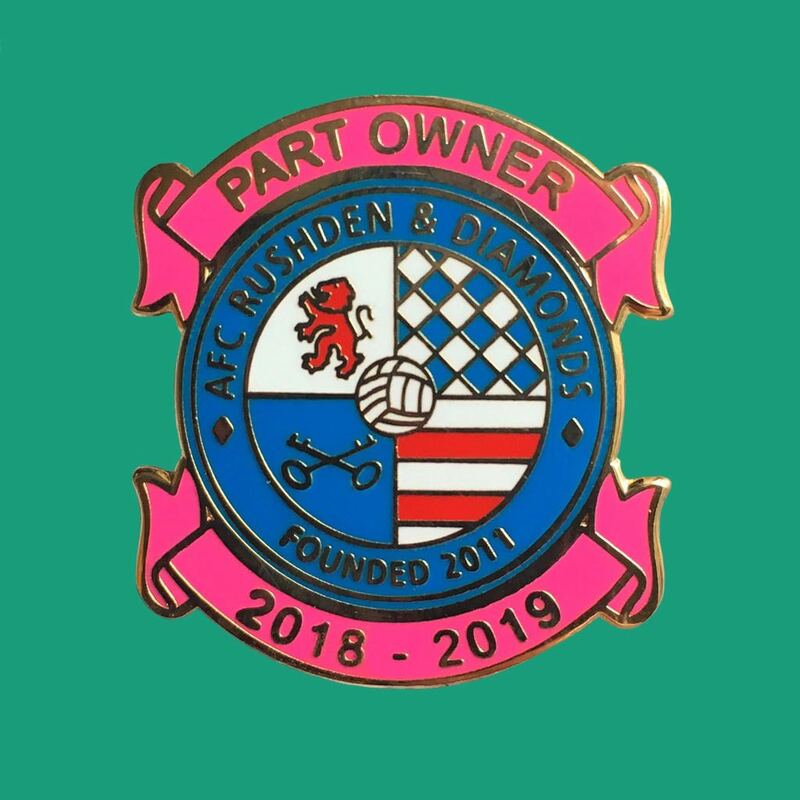 When heated reveals the AFCRD Club logo! 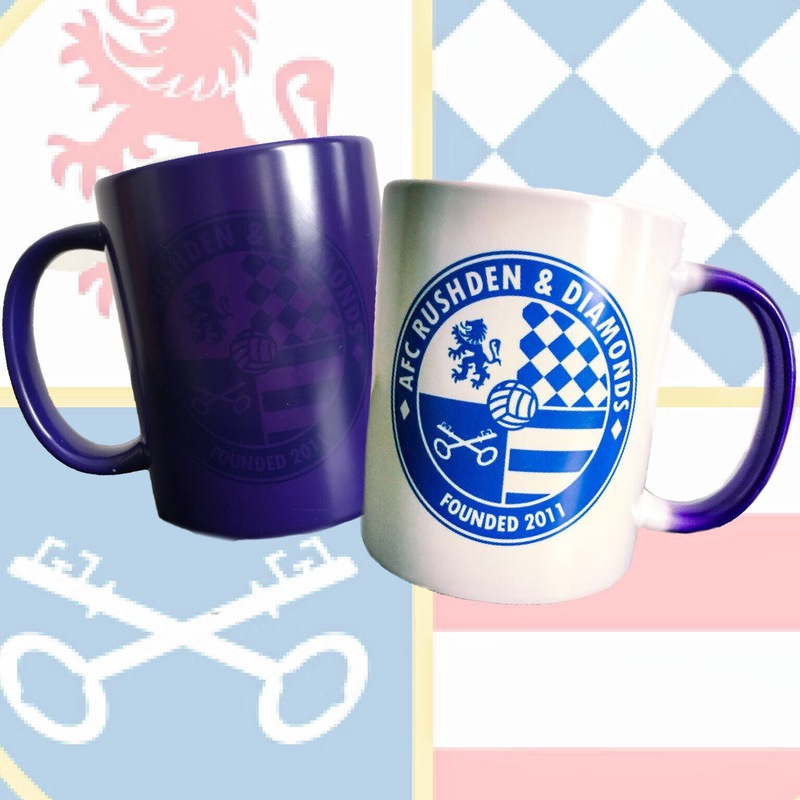 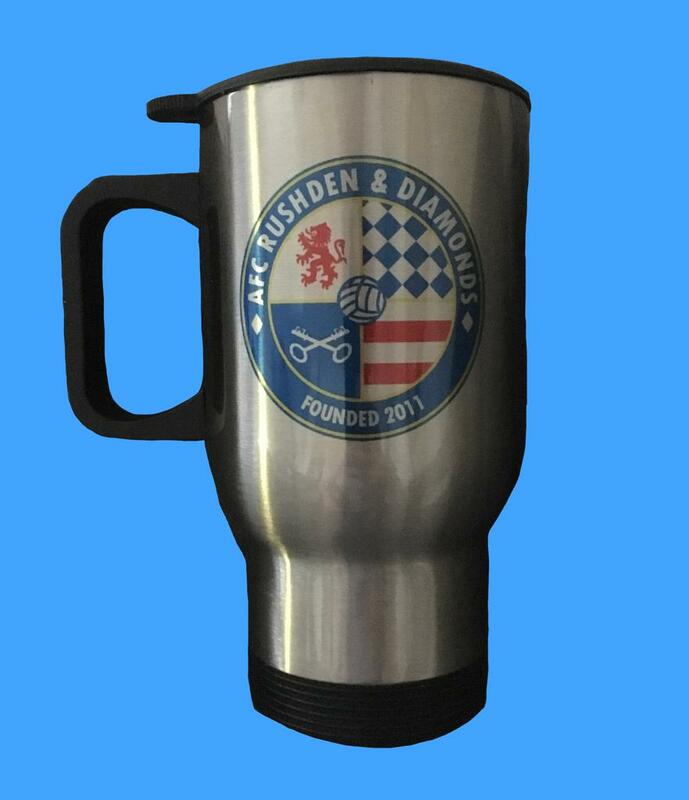 White ceramic mug with Club logo. 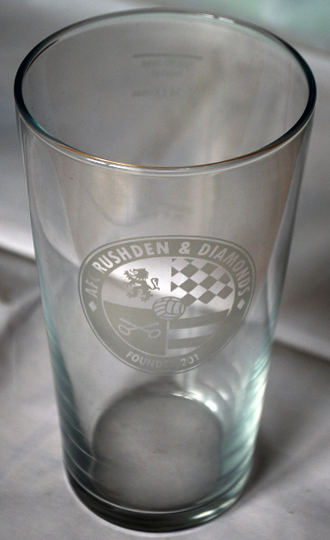 and yellow rim and handle. 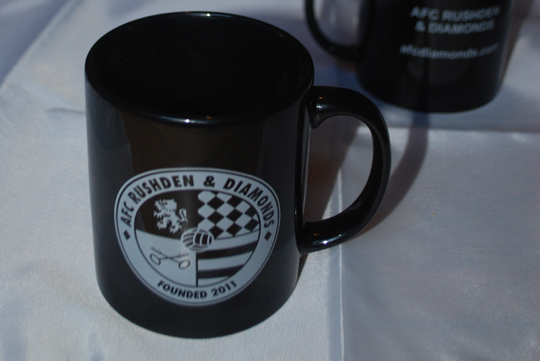 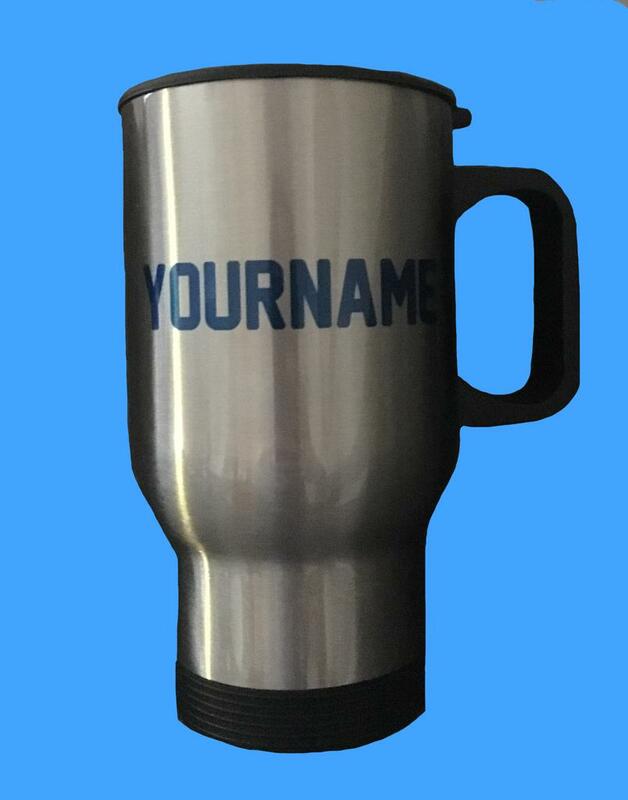 Black ceramic mug with club badge, name and website details. 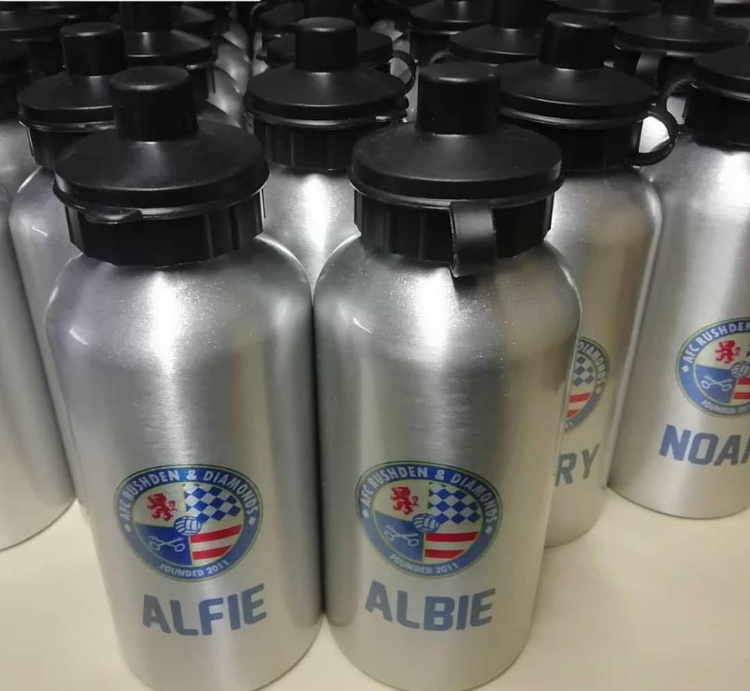 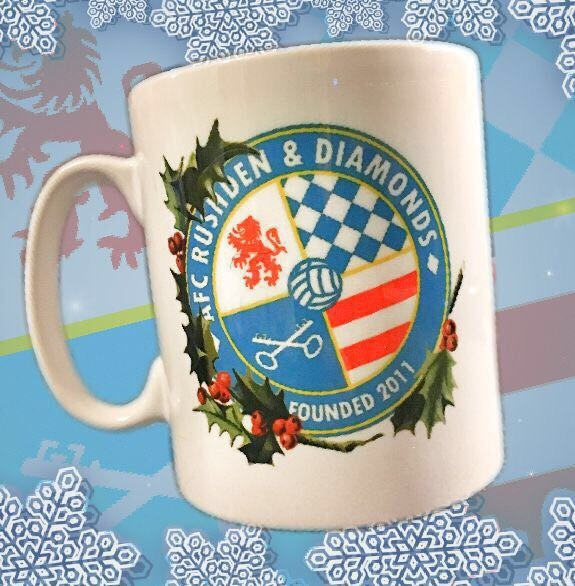 Limited edition ceramic AFCRD Christmas mug. 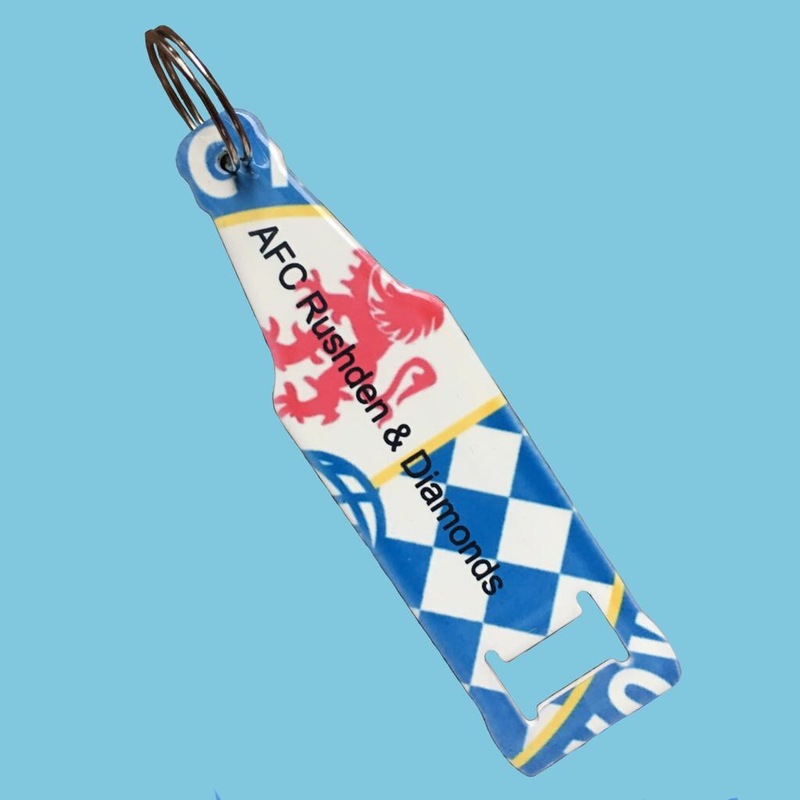 Metal bottle opener decorated in the Club badge. 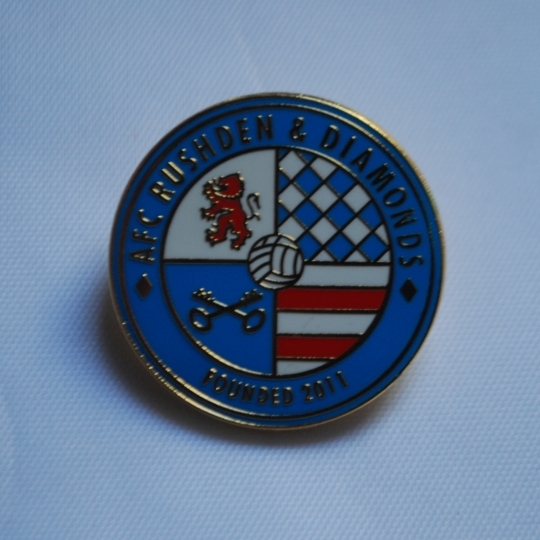 Fridge magnet with AFCRD club badge. 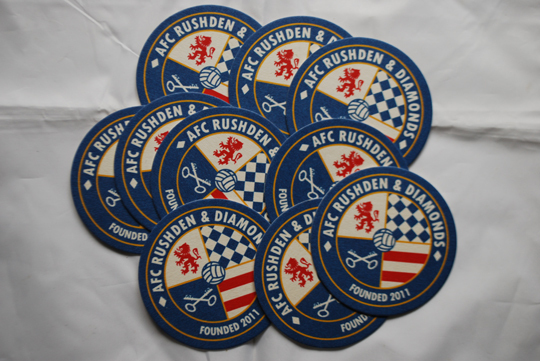 Rubber coaster with AFCRD club badge. 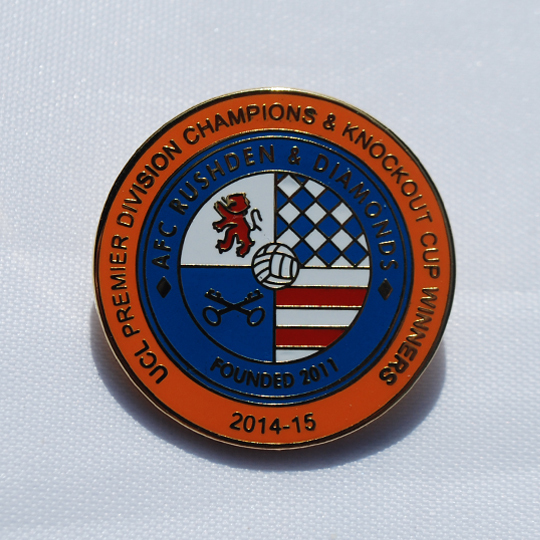 Round mousemat with club badge. 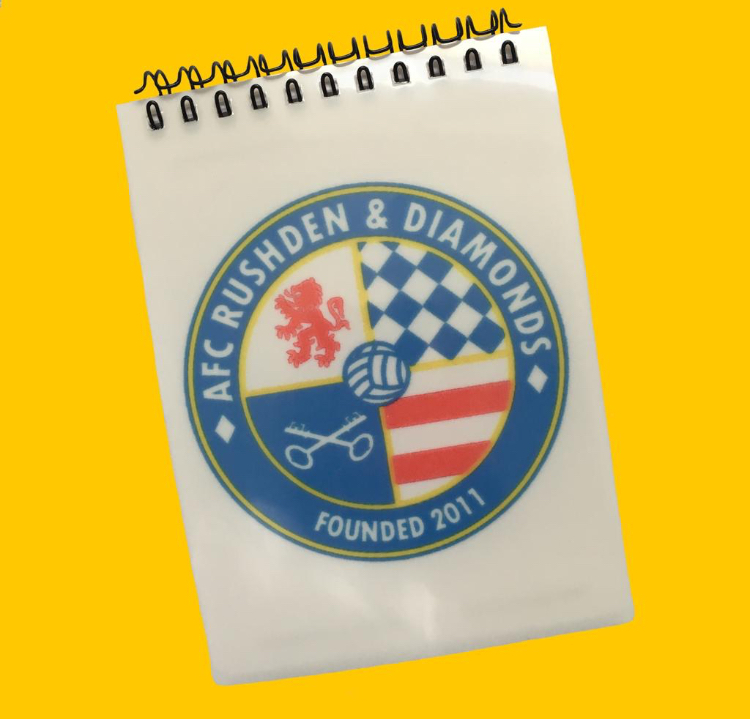 Temporary tattoos with Club badge. 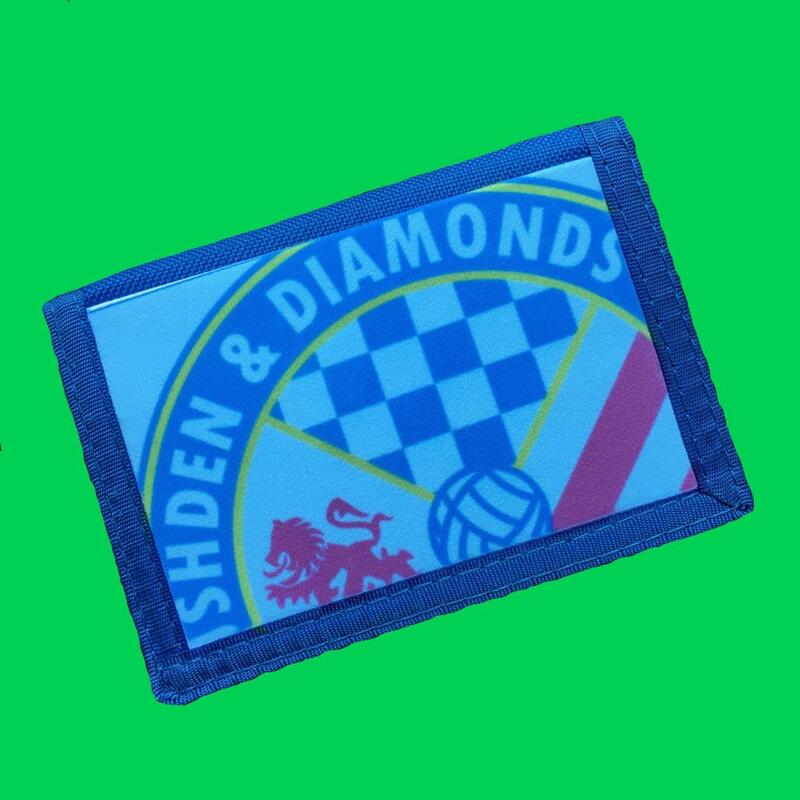 Pack of 3, size approx 6cm. 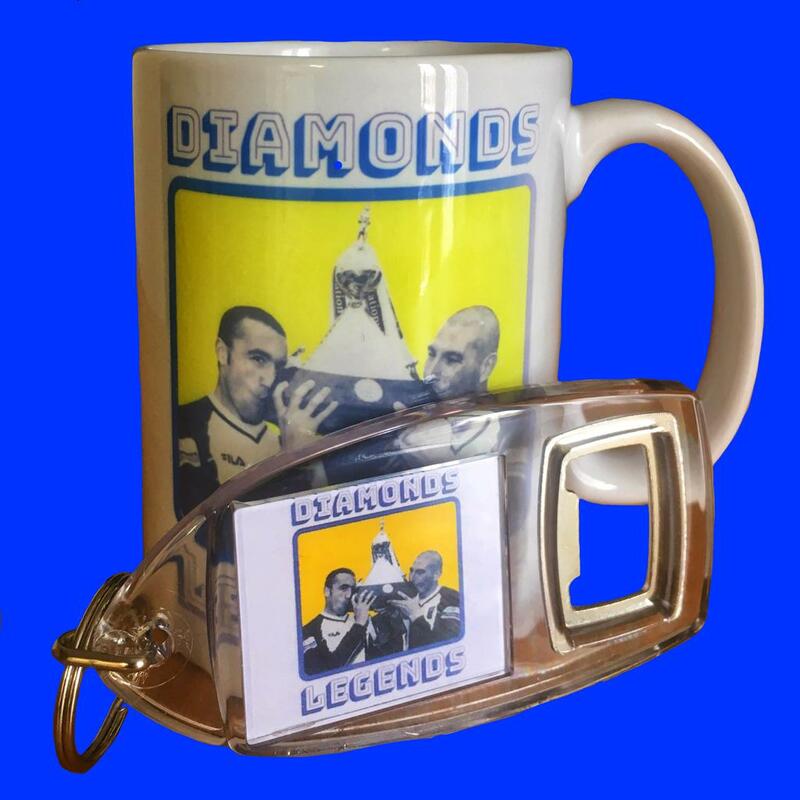 Keyring & chain with enamel club badge. 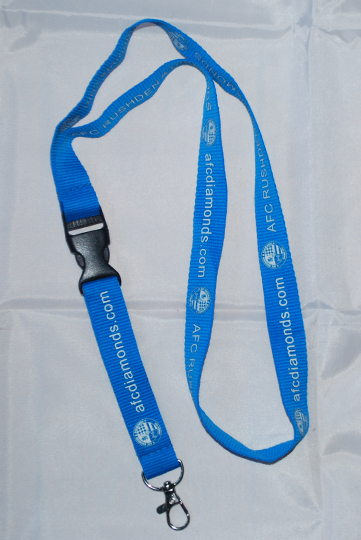 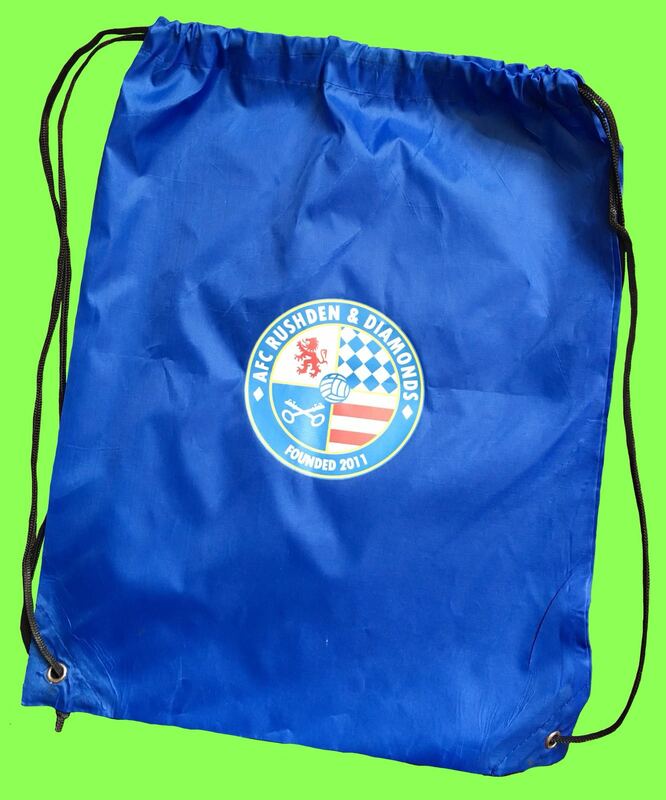 AFC branded lanyard with club badge and website address. 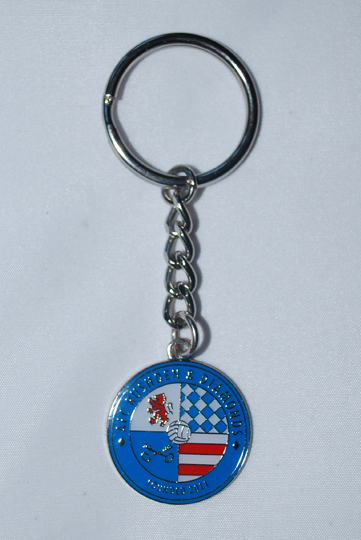 AFC branded keyring with Club badge and slogan. 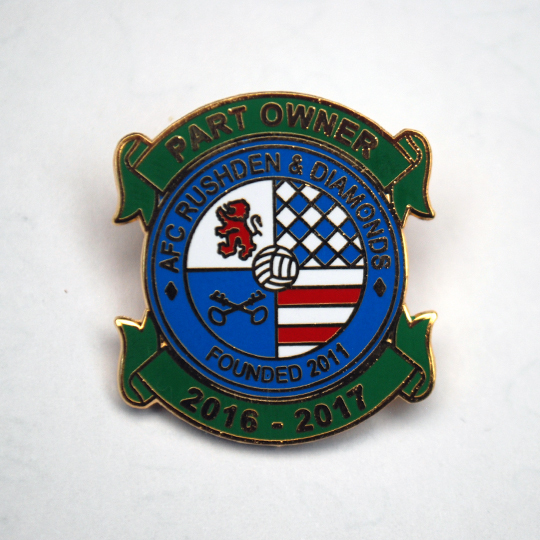 Available to members only. 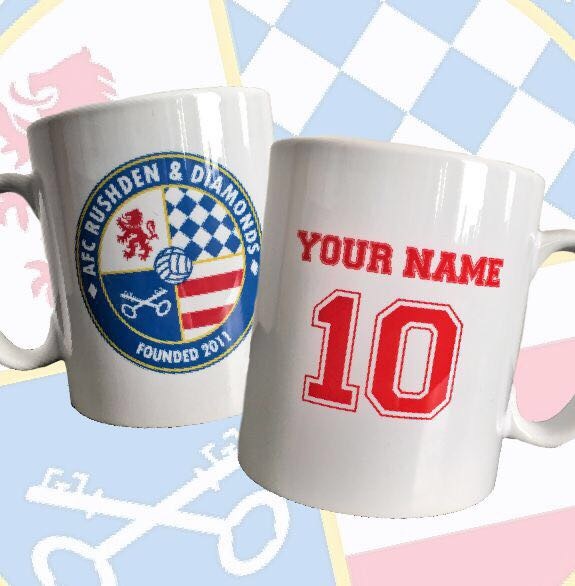 Please log in to order. 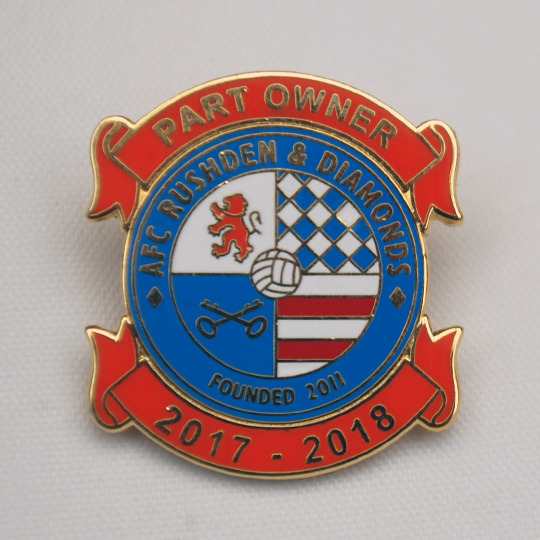 Club badge on front, club information on reverse. 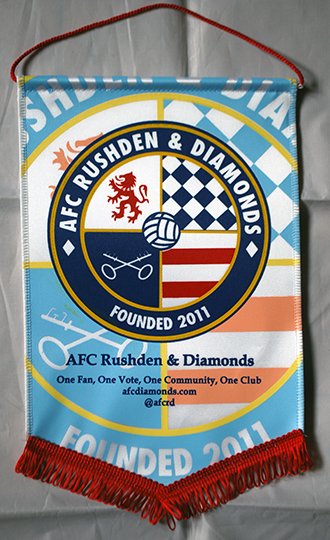 Decorated with top rod, hanger and fringe. 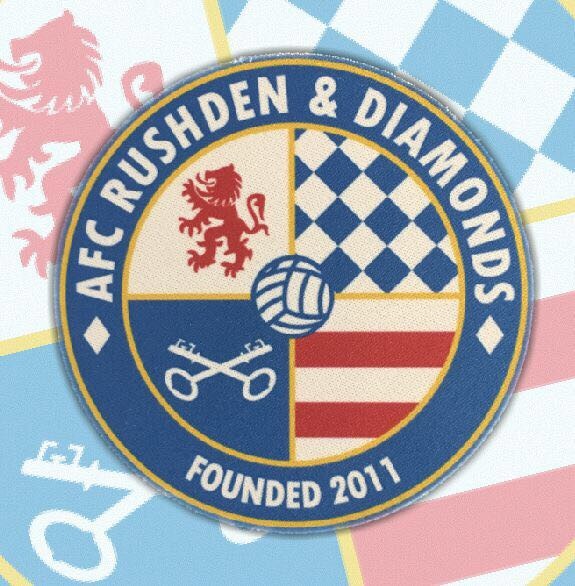 Round Car/Window sticker featuring Club badge. 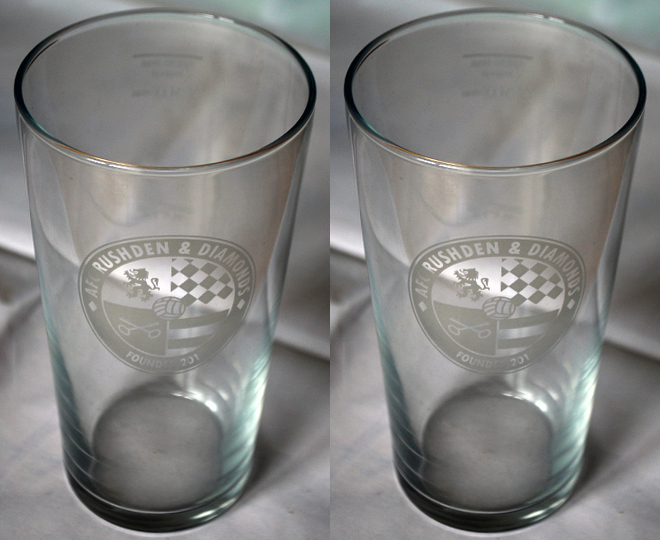 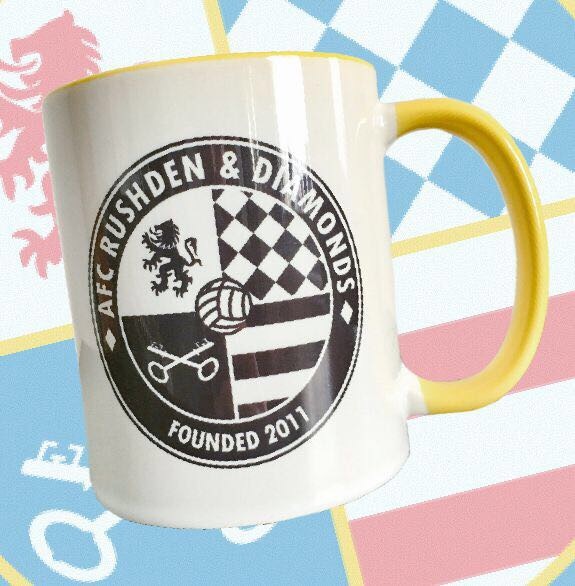 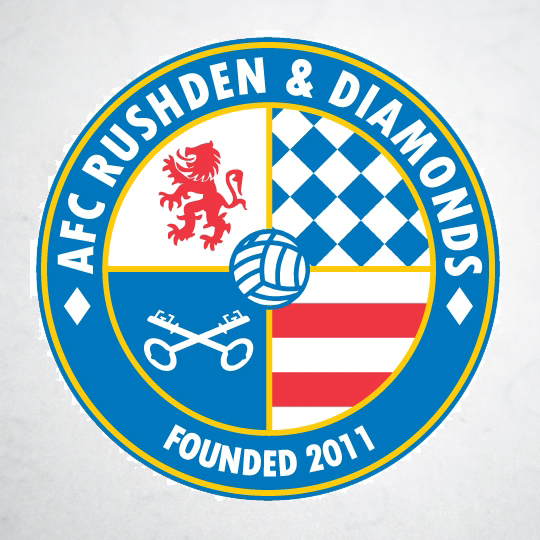 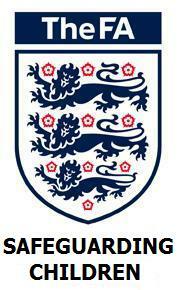 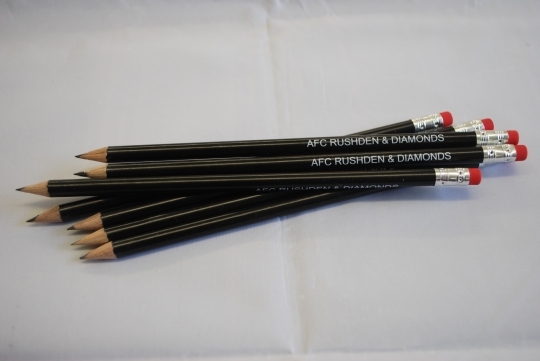 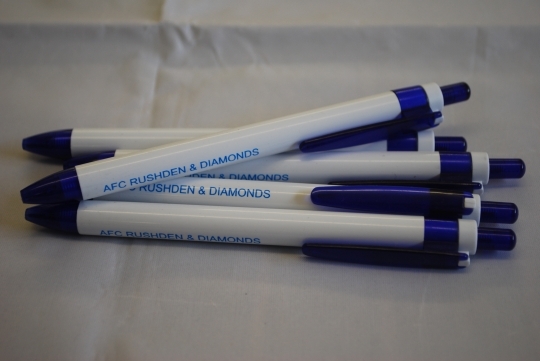 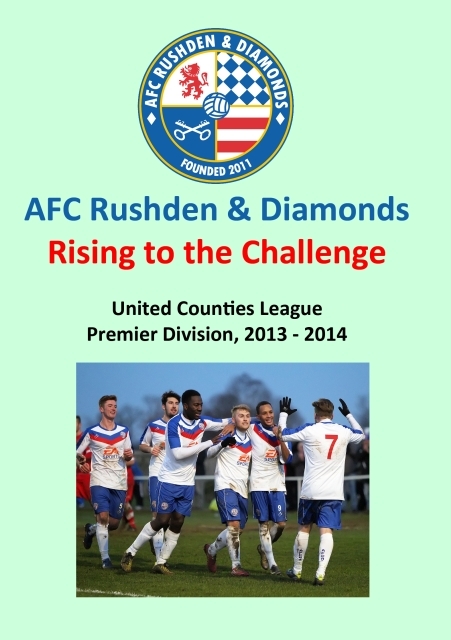 "AFC Rushden & Diamonds" slogan. 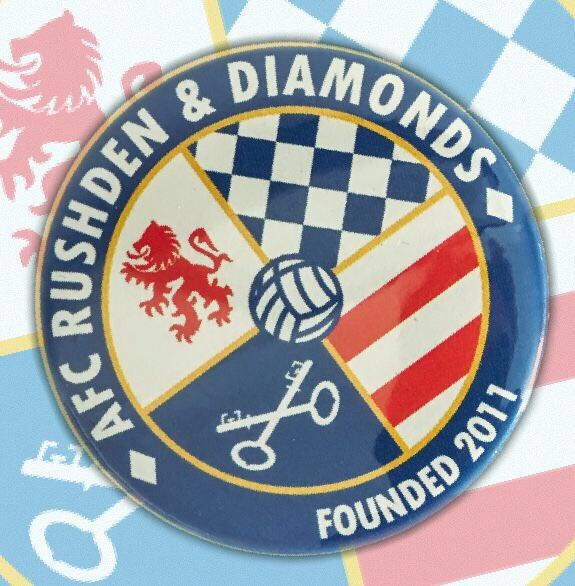 Round sticker featuring Club badge.